Grayson was left at our backdoor along in a box along with her sister Ginger. She is not only a beautiful looking kitty with her uniquely striped face, but she is also blessed with a sweet and gentle soul. 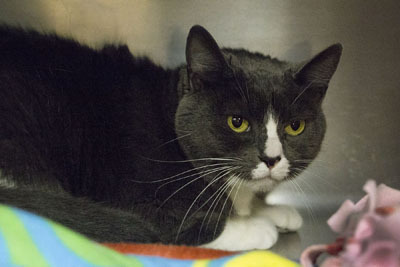 She would love to curl up beside you while you read your book or perhaps sit on your lap while you’re staring at your computer as if to say, “hey take a break, I’m here!” Do come by and meet this special grey and white tuxedo, she is patiently wait to get to know you as well. 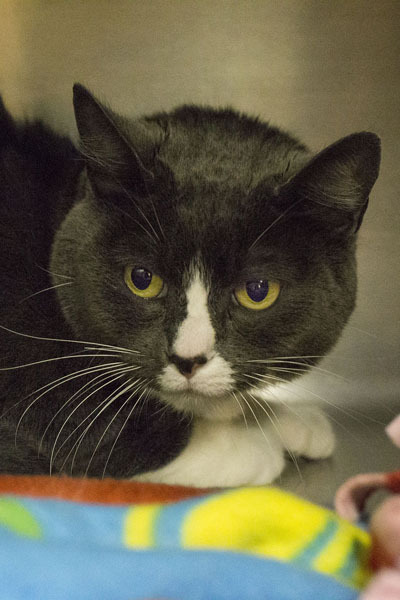 Grayson found a new family and another chance at a happy life on July 7, 2014.